Last year Iran was selling gasoline for less than 50 cents a gallon. This year a desperate regime hiked prices up to over a dollar. Meanwhile, Iranians pay about a tenth of what Americans do for electricity. Unlike Japan, Iran does not need nuclear power. It is already sitting on a mountain of gas and oil. Iran blew between $100 billion to $500 billion on its nuclear program. The Bushehr reactor alone cost somewhere in the neighborhood of $11 billion making it one of the most expensive in the world. This wasn’t done to cut power bills. Iran didn’t take its economy to the edge for a peaceful nuclear program. It built the Fordow fortified underground nuclear reactor that even Obama admitted was not part of a peaceful nuclear program, it built the underground Natanz enrichment facility whose construction at one point consumed all the cement in the country, because the nuclear program mattered more than anything else as a fulfillment of the Islamic Revolution’s purpose. Iran did not do all this so that its citizens could pay 0.003 cents less for a kilowatt hour of electricity. It quotes the Koranic verse urging Muslims to “strike terror into (the hearts of) the enemies, of Allah”. Article 3 of Iran’s Constitution calls for a foreign policy based on “unsparing support” to terrorists around the world. Article 11, the ISIS clause, demands the political unity of the Islamic world. Iran is not just a country. It is the Islamic Revolution, the Shiite ISIS, a perpetual revolution to destroy the non-Muslim world and unite the Muslim world. Over half of Iran’s urban population lives below the poverty line and its regime sacrificed 100,000 child soldiers as human shields in the Iran-Iraq War. Iran did not spend all that money just to build a peaceful civilian nuclear program to benefit its people. And yet the nuclear deal depends on the myth that its nuclear program is peaceful. Obama insisted, “This deal is not contingent on Iran changing its behavior.” But if Iran isn’t changing its behavior, if it isn’t changing its priorities or its values, then there is no deal. If Iran hasn’t changed its behavior, then the nuclear deal is just another way for it to get the bomb. 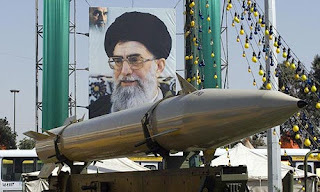 If Iran were really serious about abandoning a drive for nuclear weapons, it would have shut down its nuclear program. Not because America or Europe demanded it, but because it made no economic sense. For a fraction of the money it spent on its nuclear ambitions, it could have overhauled its decaying electrical grid and actually cut costs. But this isn’t about electricity, it’s about nuclear bombs. The peaceful nuclear program is a hoax. The deal accepts the hoax. It assumes that Iran wants a peaceful nuclear program. It even undertakes to improve and protect Iran’s “peaceful” nuclear technology. The reasoning behind the nuclear deal is false. It’s so blatantly false that the falseness has been written into the deal. The agreement punts on the military dimensions of Iran’s nuclear program and creates a complicated and easily subverted mechanism for inspecting suspicious programs in Iranian military sites. It builds in so many loopholes and delays, separate agreements and distractions, because it doesn’t really want to know. 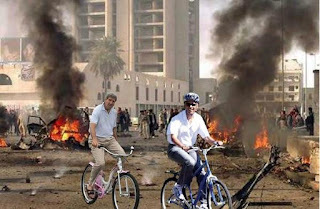 The inspections were built to help Iran cheat and give Obama plausible deniability. With or without the agreement, Iran is on the road to a nuclear bomb. Sanctions closed some doors and opened others. The agreement opens some doors and closes others. It’s a tactical difference that moves the crisis from one stalemate to another. Nothing has been resolved. The underlying strategy is Iran’s. Iran decided that the best way to conduct this stage of its nuclear weapons program was by getting technical assistance and sanctions relief from the West. This agreement doesn’t even pretend to resolve the problem of Iran’s nuclear weapons. Instead its best case scenario assumes that years from now Iran won’t want a nuclear bomb. So that’s why we’ll be helping Iran move along the path to building one. It’s like teaching a terrorist to use TNT for mining purposes if he promises not to kill anyone. But this agreement exists because the West refuses to come to terms with what Islam is. Successful negotiations depend on understanding what the other side wants. 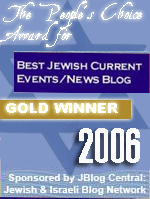 Celebratory media coverage talks about finding “common ground” with Iran. But what common ground is there with a regime that believes that America is the “Great Satan” and its number one enemy? What common ground can there be with people who literally believe that you are the devil? When Iranian leaders chant, “Death to America”, we are told that they are pandering to the hardliners. The possibility that they really believe it can’t be discussed because then the nuclear deal falls apart. For Europe, the nuclear agreement is about ending an unprofitable standoff and doing business with Iran. For Obama, it’s about rewriting history by befriending another enemy of the United States. But for Iran’s Supreme Leader, it’s about pursuing a holy war against the enemies of his flavor of Islam. The Supreme Leader of Iran already made it clear that the war will continue until America is destroyed. That may be the only common ground he has with Obama. Both America and Iran are governed by fanatics who believe that America is the source of all evil. Both believe that it needs to be destroyed. Both Obama and the Supreme Leader of Iran have a compelling vision of the world as it should be and don’t care about the consequences because they are convinced that the absolute good of their ideology makes a bad outcome inconceivable. "O Allah, for your satisfaction, we sacrificed the offspring of Islam and the revolution," a despairing Ayatollah Khomeini wrote after the disastrous Iran-Iraq War cost the lives of three-quarters of a million Iranians. The letter quoted the need for "atomic weapons" and evicting America from the Persian Gulf. The Islamic Revolution’s nuclear program was never peaceful. It was a murderous fanatic’s vision for destroying the enemies of his ideology, rooted in war, restarted in a conflict in which he used children to detonate land mines, and meant for mass murder on a terrible scale. The nuclear agreement has holes big enough to drive trucks through, but its biggest hole is the refusal of its supporters to acknowledge the history, ideology and agenda of Iran’s murderous tyrants. Like so many previous efforts at appeasement, the agreement assumes that Islam is a religion of peace. The ideology and history of Iran’s Islamic Revolution tells us that it is an empire of blood. The agreement asks us to choose between two possibilities. Either Iran has spent a huge fortune and nearly gone to war to slightly lower its already low electricity rates or it wants a nuclear bomb. This myth is to further confuse the many fools who follow Obama. All others, including Obama, know it's a sick joke. The massive efforts of Western countries and businesses to profit from trade with Hitler Germany, some of which continued through WW2, are well-documented. Here they go again. Oh Danny Boy, thee again cast brilliant light on an other murky,squalid, nightmarish, con-job from the Manchurian Candidate. Hats off again and a big salute! Your analysis is right on target as always. You boldly and eloquently state the truth that many do not want to hear. America's slumber on this issue is matched over and over again in so many arenas that it is hard to fathom how we will every pull back from the precipice over which we are falling. It now seems we must as individuals plant our flag of liberty in the ground and stand firm for as long as possible. But the chances of survival for our nation are between slim and none, and slim just left town. We will pay Iran to destroy us, what fools we are. The 0baman0id never met a tyrant he didn't like, but he has a special fondness for the various izlamic dictatorships that dominate the world. If you can evaluate a man by the company he keeps, well then what do we make of the 0baman0id? Lord Obama has done the impossible. He has united Israel and the other Arab states against the United States. Well done Mr. President. Well done. I would hope that Israel and its current Arab allies understand that it's no longer able to stop an Iranian bomb but is quite capable of stopping those in Iran who would drop the bomb. In short, assassinate Iran's leaders and create regime change. It is astonishing to read pundits like David Stockman and Pat Buchanan etc., etc., declare this deal as the long overdue way to defeat the 'war party' in America and Israel. Well, yeah, and everyone else, too. Iran will soon have the financial resources to defeat the House of Saud, without nuclear bombs or fear of US intervention and then hold the Arab oil as ransom for Sharia around the world. The cost to defeat Iran has just gone up exponentially per year - in blood and treasure. 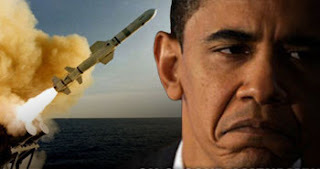 All out war with Iran has been inevitable since 1978; Obama just made it one of nuclear certainty. Another excellent piece Daniel, thank you. Interesting how similar the two words are, eh......program and pogrom. I really feel we are all greatly missing something. This B.S. deal offends me, but it doesn't really worry me, for some reason. Using your numbers, Sultan, why would Iran spend between $100 and $500 Billions on a nuclear program to build a bomb, or 100 bombs? Trolling thru Pakistan, N. Korea, or China with bait of $100 Billion should turn up a nuke or two, wouldn't you think? Does Iran really have anything to fear from the U.S. or Israel? Of course not! The Iran-Iraq war created their need, as you write, for nuclear weapons. Iran's only enemy remains Sunni Islam, roughly 75% of the Muslim population of the region, which surrounds them. Frankly, I think the Ayatollah is dumber than Hillary, maybe even Joe Biden, Kerry, and ultimate fool, Obama. Take your pick. I see no logic in provoking enemies you intend to eventually attack. Makes no sense, except as a control mechanism over a population that hates you. They don't say death to the Saudis or the Sunni's, their real, true enemy, do they?. Why not? I haven't quite figured out what is really going on, but I'm quite sure that your concern is not entirely justified. Iran doesn't just want nukes. It wants a full local program that it can build on and export. It already tried that in Syria. Beyond conflicts with Israel and the US, it wants power across the region through its client states and terror groups. Daniel, it was so painful to try and read that I could not. For one thing, most of the people that read your postings, and evidently a lot that do not, already see this as Obama's folly with dire consequences for us. I have personally and have heard others refer to this deal as the equivalent of the 1938 Munich deal with its consequences. Carter and Obama should be tried for treason. The Saud's paid for Pakistan's nuclear program and already own Chinese missiles that can carry Nukes to Iran. They can probably have 5-6 nukes delivered and ready to fly in 24-48 hours. In reality, this is a Proxy war. Russia and North Korea aiding Iran in order to outflank the US, KSA, and Israel in the Middle East. I normally do not have much sympathy for Egypt as they seem to be their own worst enemies. However, at the present time, I think we need to make sure they are still standing as a secular leaning society and stop undermining them. This is getting to be a real mess over there, and unfortunately, I do not see how this will play out without some nukes flying and a lot of lead as well. I just hope that for Israel and Jordan's sake the winds tend to blow west to east there to minimize the contaminants drifting that direction. If the deal goes through, I really hope Israel takes out irans ability to produce a bomb...Strong offense is the best defense. 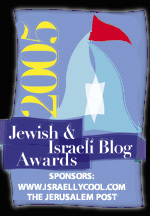 As usual your analysis is spot on, but after much reflection I believe the real purpose in the Obama regime and Europe allowing Iran to pursue a nuclear weapons program is ultimately rooted in the left's deep seated hatred of the Jews, a disease that is far, far more encompassing than what most people, if anyone really, can appreciate. The left is built on jealousy and demonization, and who better to be jealous of and to demonize than the Jews? We are an insignificant fraction of humanity and yet our accomplishments are legion. And for this Europe tried to burn us all only a few decades ago. Sure they weren't all Nazis, but how many turned a blind eye to what happened saying to themselves "to be fair, they kinda had it coming". More than you know. Allowing Iran to have nukes is the ultimate example of the enemy of my enemy is my friend. It is also payback to Israel for having the temerity of building it's own nuclear shield. Thinking along the lines of "if those damn Jews have nukes, why can't the Muslims who want to kill them all have them too?" Do you really believe the left would've been so accommodating to Iran if Israel hadn't already had their own nuclear weapons? This world is full of people who would like nothing better than to toast their marshmallows over the corpse of a burning Jew, and I think that's exactly the power that Obama and Europe just gave to Iran. "The Supreme Leader of Iran already made it clear that the war will continue until America is destroyed. That may be the only common ground he has with Obama." Reply to DenisO > I respectfully disagree, Denis. Your opinions are contrary to everything the regime in Iran has said and done, publicly, without shame. Like all who follow the false prophet (and descendents of Ishmael) they hate Israel and by extension, the USA. They want the power to be used as power, not energy. Daniel has presented a well-reasoned commentary. We should not filter that logic out by reason of the preconceptions of ideology. That is the conventional wisdom, I agree, but it doesn't justify spending hundreds of $Billions on developing nukes. Granted, tyrants don't have to account for idiot decisions, and threatening the U.S. and Israel, that can genuinely destroy you, also doesn't make sense, except as idiocy. S'not likely, at all, IMO. If Iran struck us, or Israel, they know retaliation would be swift and terrible. Saudi Arabia would be across their border as soon as the smoke cleared. If you think their behavior towards us makes sense, other than to keep their people obedient, tell me how. Israel could give the Saudi's a nuke or two, as long as they controlled the activation codes and target, in exchange for airfield rights that would give her attack aircraft round-trip survivability. Historically, warfare is not planned this way. My "gut" tells me their real goal is control of Mecca and Median, the holy cities of Islam and inciting revolution against the Oil Princes. That makes sense, and is more likely than planning a dooms-day nonsense attack. O'Zero seems dedicated to spending the remainder of his term, lecturing Americans about Race and the 'good' Muslims, and abroad, lecturing foreigners about homophobia..Aside from golf, those seem to be the only subjects that interest him. This can hardly be a coincidence, what with western society rushing back to the 1930's. It is possible to assume that he is a White hating, gay, Muslim..Maybe that's what he's been trying to tell us all along. He'd best avoid tall buildings when he travels in Muslim countries..
"If Iran struck us, or Israel, they know retaliation would be swift and terrible." Really? Under Obama? Or some future Democrat who makes Obama look like George Washington? In any case, Iran doesn't need to launch an ICBM at DC. All it needs to do is pass on nukes to some client state or terror group which will do the job while it maintains plausible deniability. Passing "on nukes to client state or terror group". What a depressing thought. Then again, whatever state is inevitably hit by izlamic nuclear weapons won't be stupid enough to believe Al Qaida, Taliban, Hamas, Hezbollah have the necessary tech. to create their own nukes. As far as Israel goes I had thought the Samson option envisioned a strike against ALL muslo-nazi states? Which, after all, is the proper response. As usual, the clear thinker of our time spells it out. Always a pleasure to read. You know, compared to others who don't quite grasp it. In all warfare, false flag deception is the starting point of invasion, how else can a regime guarantee it's survival without mega bomb terror capabilities? How is the coming of the Imam Mehdi any different than the coming of moshiac or the second coming of Jesus? When can humans and governments be honest about reality and just stop striving for so much change? We are all primates acting like mega assholes all the time. If I were to take out Iran from your writing and replace with Israel, America, North Korea, etc.... What is the difference? Power wants to retain power, and your analysis of Iran is spot on, but the spot in your eye is not seeing the logical fallacy of differing cultures, religions, and perspectives that all share a common core. Beautifully succinct as always.. Obama is a traitor of the first order to America and it's people. I can only pray that people wake up and see this kabuki for what it is before it's too late. I'd like to throw Corker and McConnell in with Obama as they enable the madness at every turn.